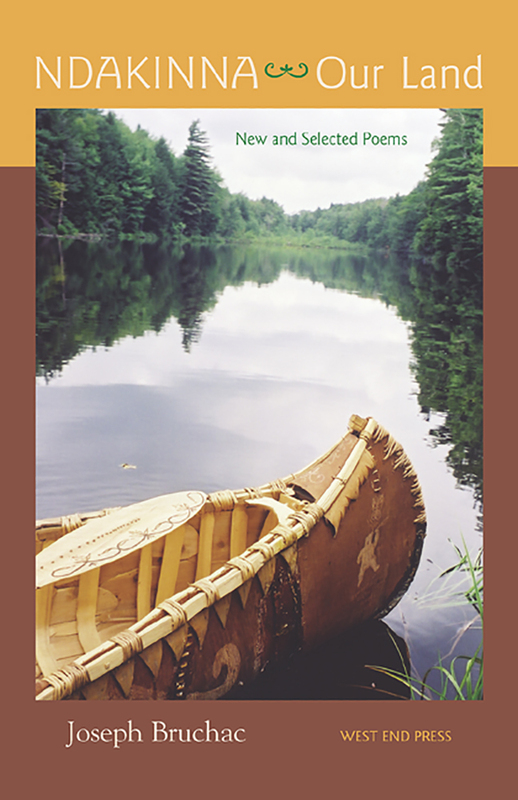 Written over a period of twelve years and published in magazines and anthologies, these beautiful poems of place and Abenaki Indian heritage are addressed to the land, to the poet's two sons James and Jesse, to his wife Carol, and to himself. A few poems invoking the land join others of close observation of the natural world of native New England and the poet's meditations upon it. In its essence, the land and culture Bruchac celebrates is not lost to him, but is a heritage to be passed on through his family. In a second section, "Traveling Stories," the well-traveled poet views creatures and events from his perspective. In these encounters a notable fact emerges: Bruchac is always at home, always centered, no matter what he encounters. Humpback whales, a forest fire from the air, medicine bundles in a museum in South Dakota are all felt through the same wise sensibility and yield understanding for the reader as well as the writer. Novelist, short story writer, memoirist, and anthologist Joseph Bruchac is the winner of the Lifetime Achievement Award of the Native Writers Circle of the Americas and also has received both the Traditional Storytelling and the Prose Writing Awards from the Wordcraft Circle of Native Writers and Storytellers. He is the author of over 100 books for both adults and young readers.